INDUSTRY.co.id - Jakarta - Unilever and state-owned oil palm plantation company PT Perkebunan Nusantara (PTPN) signed a Memorandum of Understanding (MoU) to work with palm oil mills and farmers in Indonesia. This cooperation is to encourage the acceleration of sustainable palm oil production in accordance with the principles of Zero Deforestation, Zero Peat, Zero Exploitation or known as NDPE (No Deforestation, No Peat and No Exploitation). Through the partnership, it is expected that oil palm farmers can improve crop yields and improve their welfare. As part of this partnership, PTPN will play a role in providing access for Unilever to their factory area and PTPN supplier farmer base. sustainable palm certification. This support is expected to ensure that smallholders are in a better position in the palm oil supply chain while enhancing their ability to produce palm oil according to socially and environmentally sound standards. 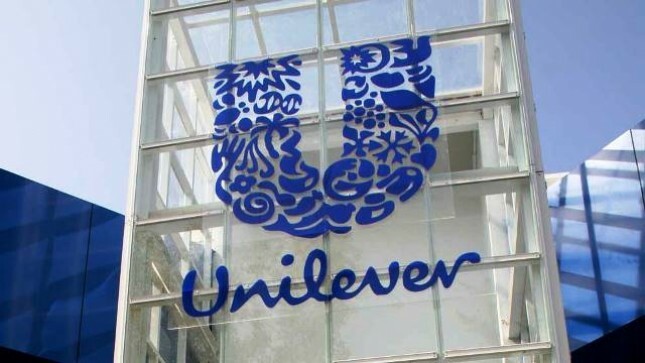 Marc Engel as Chief Supply Chain Officer Unilever said Unilever's ambition is to promote sustainable palm oil by engaging in partnerships to help small farmers improve their crops while protecting the environment and local communities. "The MoU with PTPN is the first time we can implement a produce-protect model with a larger scale. We believe that this partnership will have a positive impact on the Indonesian territory from an environmental, social and economic perspective. This is what makes a special partnership, "said Marc Engel. PTPN is a government-owned company and a major player in the Indonesian palm oil industry working with a network of vast small farmers. The MoU with Unilever is an important boost for small farmers to adopt sustainable agricultural and business practices. In addition to supporting businesses in terms of sustainable palm oil, this cooperation will also provide them with access to the training and skills required in the transition process. "As a holding company, PTPN III manages approximately 61% of its plantation area for oil palm plantations spread across 10 subsidiaries - some of which have been certified by RSPO and ISPO We are committed to continuing sustainable palm oil management," said Erwan Pelawi as Operating Managing Director of PTPN III Holding Company. According to him, plasma palm oil production and self-sufficient farmers are also the supply chain for PTPN Group's palm oil mill. "Therefore, we are very concerned about the certification of sustainable palm oil to produce quality and sustainable palm oil products. This cooperation is expected to improve the quality of management of plasma and independent palm oil farmers, as well as accelerate the process of certification of sustainable palm oil in order to provide better benefits for the welfare of oil palm farmers in Indonesia, "he said.